Artist Laura Matthews finds her new home in the Welsh mountains to be a place so charged with tales and legends that she is able to reach through the gossamer-fine veil that separates her own world from that of myth and fable. She and her husband Dan have given up their city life and moved to Blaencwm, an ancient longhouse high in the hills. Here she hopes that the wild beauty will inspire her to produce her best art and will give her the baby they have longed for. But this high valley is also home to others, such as Rhys the charismatic loner who pursues Laura with fervor. And Anwen, the wise old woman from the neighboring farm who seems to know so much but talks in riddles. And then there is Merlin. 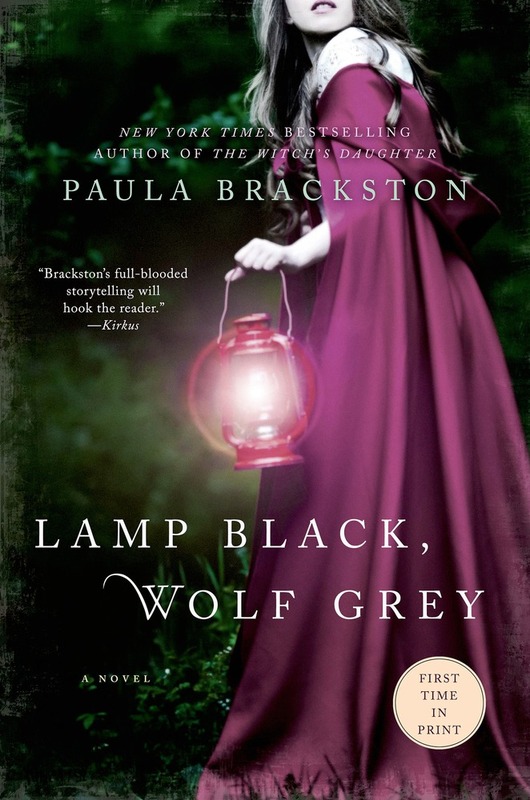 Lamp Black, Wolf Grey tells both Laura's story and Merlin's. For once he too walked these hills, with his faithful grey wolf at his heel. It was here he fell in love with Megan, nurse-maid to the children of the hated local noble, Lord Geraint. Merlin was young, at the start of his renowned career as a magician, but when he refuses to help Lord Geraint it is Megan who may pay the price. From New York Times bestselling author Paula Brackston, Lamp Black, Wolf Grey is an enchanting tale of love and magic featuring her signature blend of gorgeous writing, an intriguing historical backdrop, and a relatable heroine that readers are sure to fall in love with. "AND THROUGH HERE, we have the fourth bedroom, again with the exposed beams and rather charming, sloping ceiling." The estate agent pointed as he spoke. PAULA BRACKSTON has an MA in Creative Writing from Lancaster University in the UK. In 2006 she was shortlisted in the Creme de la Crime Search for new writers. She lives in Wales with her family.